Di and Lydia Gurrey raised £370 by hosting afternoon tea at their home in Staffordshire. 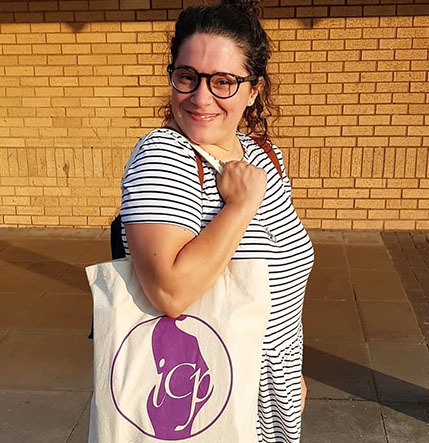 ICP Support is the only charity in the world where you can access the most up-to-date information on ICP from a perfect blend of researchers, scientists and women who have had the condition. We can do this because of who runs the charity! 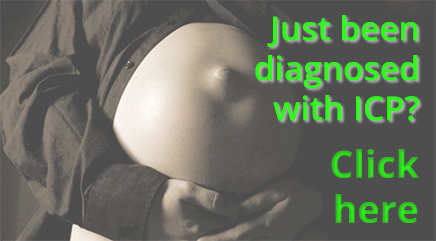 We know how anxiety-provoking ICP is, so please use this site and our support systems to ensure that you have eveything you need for a pregnancy that is as stress-free as possible. 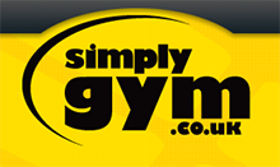 You can speak to someone directly or join our Facebook groups, where our moderators will be waiting to support you. We also know that the effects of stress can ripple from immediate partners to family, friends and colleagues, so we’re here to offer support and information to you too. If you’re a relative, friend, work colleague or even health professional wanting more information, please do contact us. 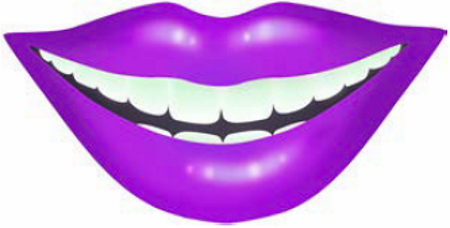 You can now raise funds for ICP Support with Virgin Money Giving! This is a not-for-profit company that charges us no monthly fee, which means that more of the money you raise goes to us. 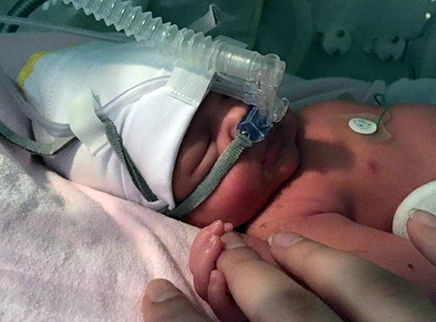 New research, published in The Lancet and partially funded by ICP Support, shows that most women with ICP can be reassured that their baby will be free from the risk of stillbirth due to ICP provided their bile acid levels remain under 100 micromol/L. You can download the paper, a summary of the findings and the press release that accompanies the publication. 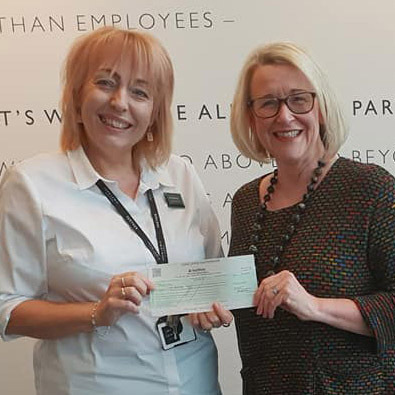 Customers and staff at the Tamworth branch of John Lewis helped raise £933 for ICP Support through the Community Matters scheme. 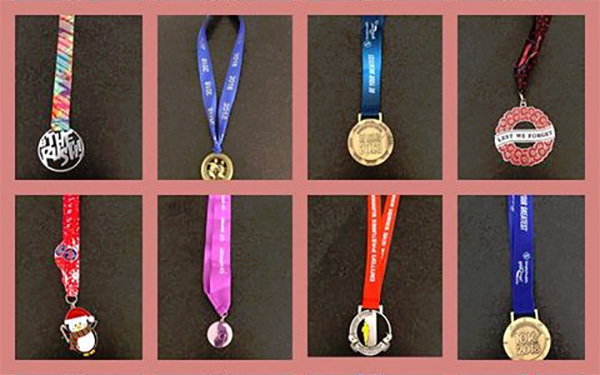 Our running manager, Jenny Hastings, set herself the challenge of completing 20 separate running events in 10 months to raise funds for ICP Support – and she's made it! 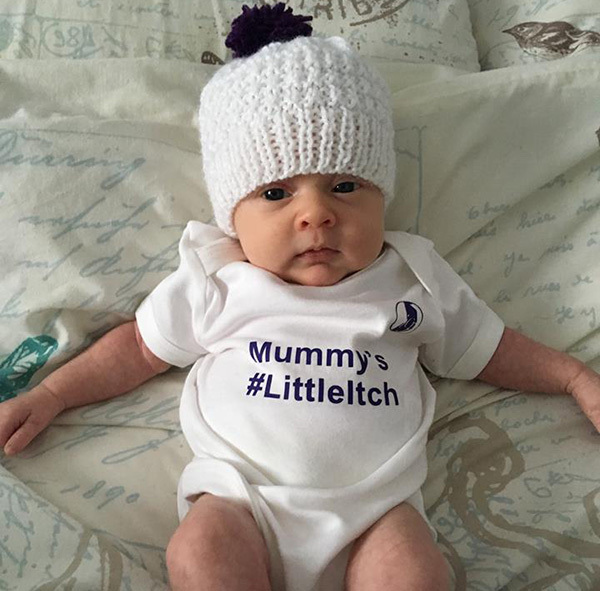 Keep your little itch warm with our baby bodysuits and woolly bobble hats – both available in our shop. The April lottery is now open! Tickets are now on sale for our latest monthly lottery, in which you could win a cash prize and help fund ICP Support at the same time. Tickets cost just £5 each. More information, including terms and conditions, is here. Or just go straight to our shop to buy your ticket. 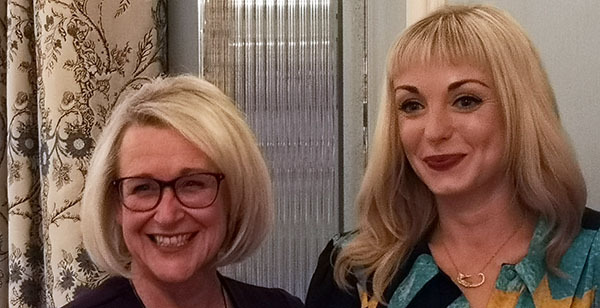 Our Afternoon Tea event with patron Helen George at the Lanesborough hotel was a great success, raising over £2000 for the charity. We have some pictures from the occasion. ICP doesn’t just affect mums and babies – grandparents get involved too. 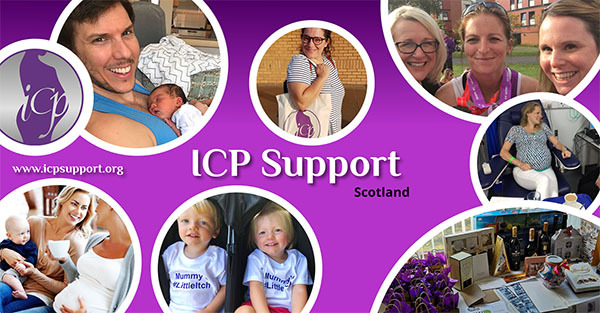 Ailsa Seatter tells how her daughter Gemma’s ICP affected her and prompted her to raise funds for ICP Support. We have just launched our first regional groups, aiming to connect people in the same geographical area. These are all pilot projects, so please get involved to help make them work for everyone! Our shopping bag is a great little bag to take on holiday. Here’s Giovanna D’Urso modelling one for you – looks great doesn’t it? 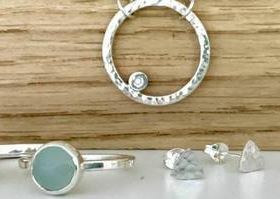 They are available in the shop to buy, or if you sign up to donate £5 or more a month we’ll give you a bag for free! 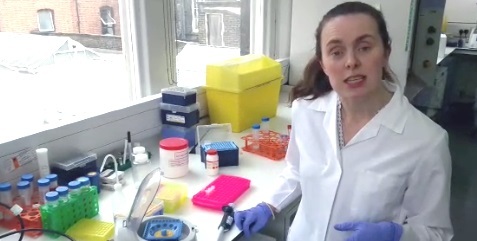 In this short video, Dr Caroline Ovadia explains how she uses money given to her from your donations to ICP Support. Fancy holding a tea party or coffee morning to raise funds and awareness? Then pop along to Afternoon Tea for ICP. The lovely people at Tetley have even provided some free teabags! 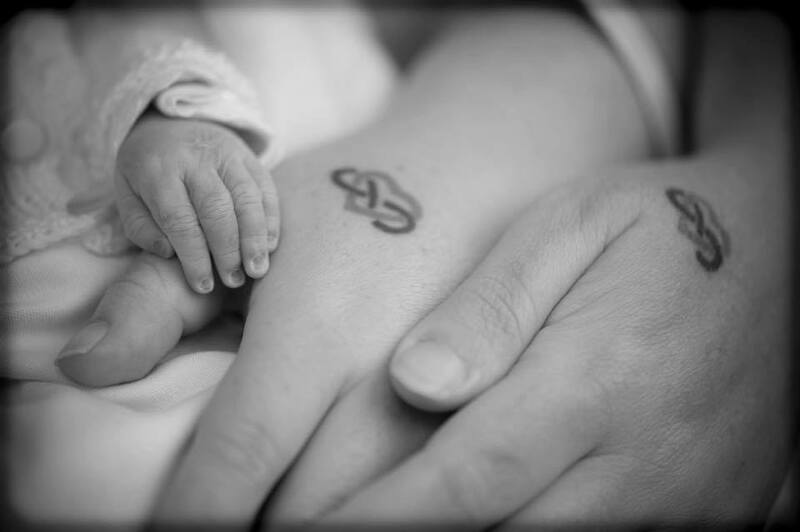 Do you want to help reduce stillbirth? 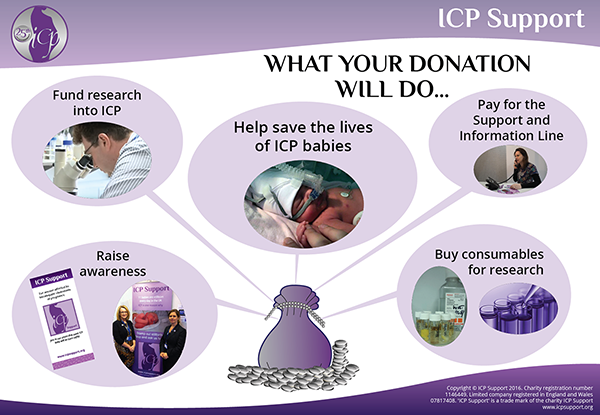 If you sign up to run for us you’ll be helping to fund research into ICP so that all ICP babies can be born safely. Visit our Itching to Run page to find out more. Would you like to know how we use your donation? This infographic shows you. 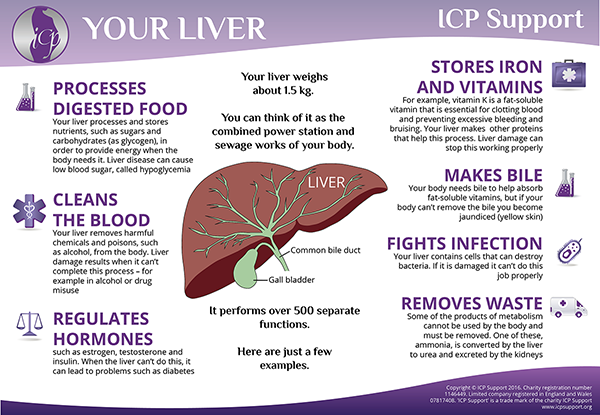 Your liver is an amazing organ – our infographic shows you what it does. 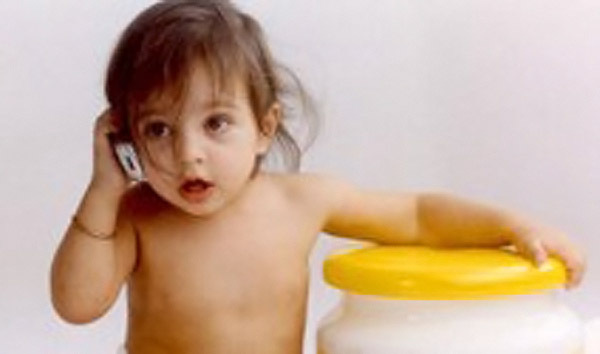 We have updated this section to give more detailed information about three studies that you could take part in. 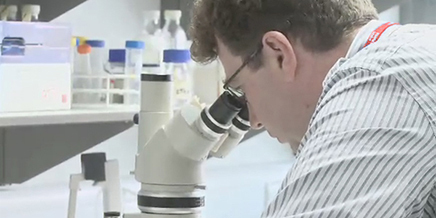 ICP Support helps to fund this research, which is aimed at understanding and treating the condition. Do you need to talk to someone about ICP? Our Support and Information Line is there for you. Our telephone support is now available in the UK and Australia. Show your support with an item from our shop. Pin badges and wristbands are popular.